It is the same procedure as every year. The pre-Christmas-Season creates present-finding-stress and planning the holidays takes up all your attention. Once Christmas is over and you find the time to breathe again you realize that there is New Year’s Eve just around the corner and you wonder what you could do that year. I am trying to avoid this “game” every year and therefore plan ahead. Not to be able to tell everyone in the New Year how awesome my New Year’s Eve was but to not fail in trying to do something extraordinary and end up doing raclette, sit in an over-priced restaurant or find myself in a disco. 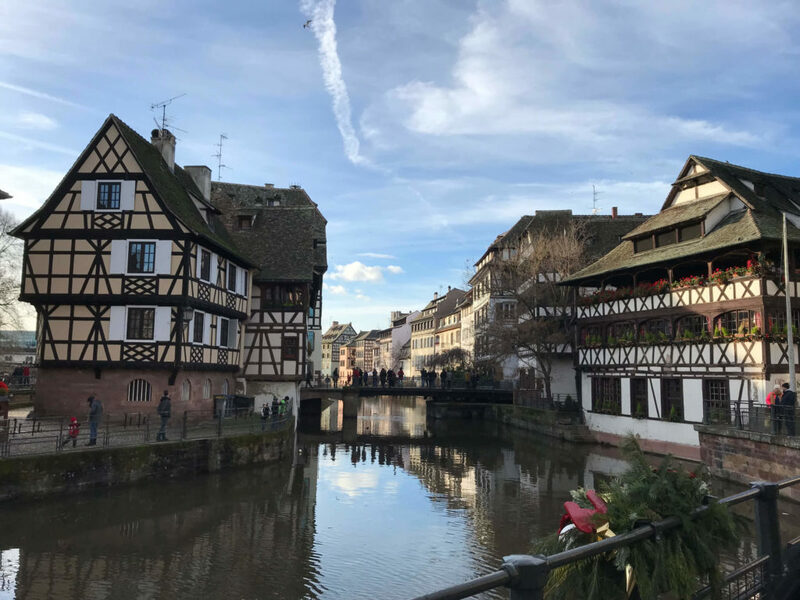 It is just the attempt to do something different then everybody else and that’s why last year’s decision was to go to France and the beautiful city Strasbourg – the official place of work of the European Parliament. 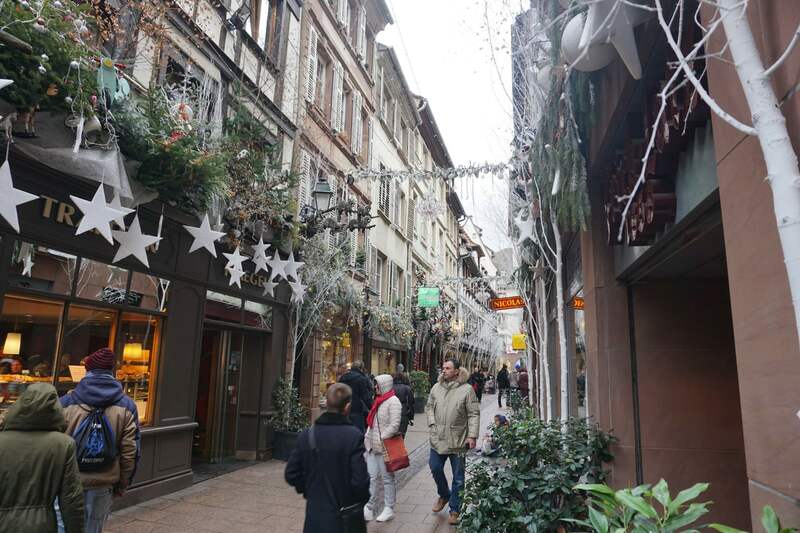 Since Strasbourg is conveniently reachable by car for us we wanted to spend the end of the year in the Alsace. You have to start somewhere to get somewhere. Therefore, our first destination was the P2 Cinéma parking garage in between the cinema and the shopping mall Rivetoile that was just a few meters away from our hotel. The hotel we booked did not have parking spaces so we had to use a public parking garage which did not matter at all. The car was safely parked and therefore also protected against firecrackers and rockets. From the parking garage to the hotel we walked about five minutes and the rate at 10,00 € for 24 hours was absolutely acceptable. The walk from the hotel to the city center took us about 20 minutes by foot. The Palais Rohan (Rohan Palace) was our first destination once we reached the historic center. The building itself is very impressive with its baroque architecture. The palace hosts three considerable museums: the Musée des beaux-arts (Museum of Fine Arts), the Musée des arts décoratifs (Museum of Decorative arts) and the Musée archéologique (Archaeological Museum). 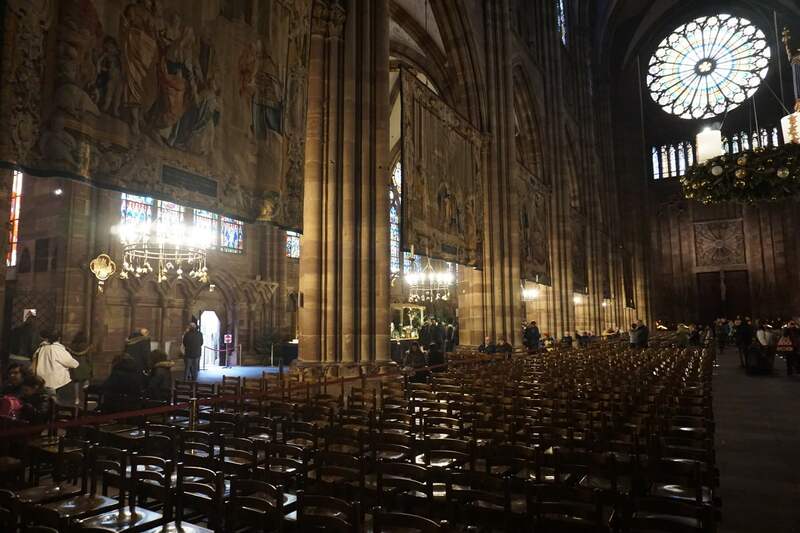 Due to our lack of interest we skipped the museum and enjoyed the view on the Strasbourg Cathedral instead. 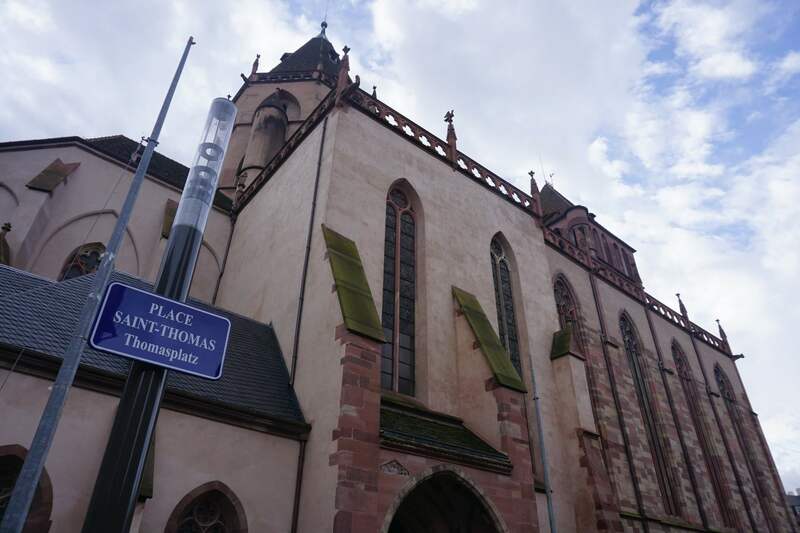 The cathedral is located directly across from the Palais Rohan. 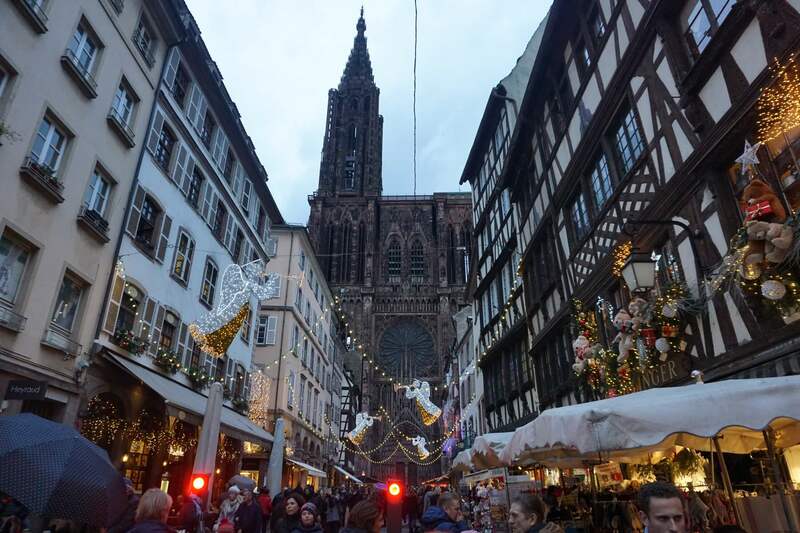 A big advantage of visiting Strasbourg between Christmas and New Year’s is that the Christmas Market is open until December 30 which gives the historic city an atmospheric and festive gloom. Around La Place de la Cathédrale you will see nice old buildings and one of them is the Maison Kammerzell which hosts a restaurant and a hotel. 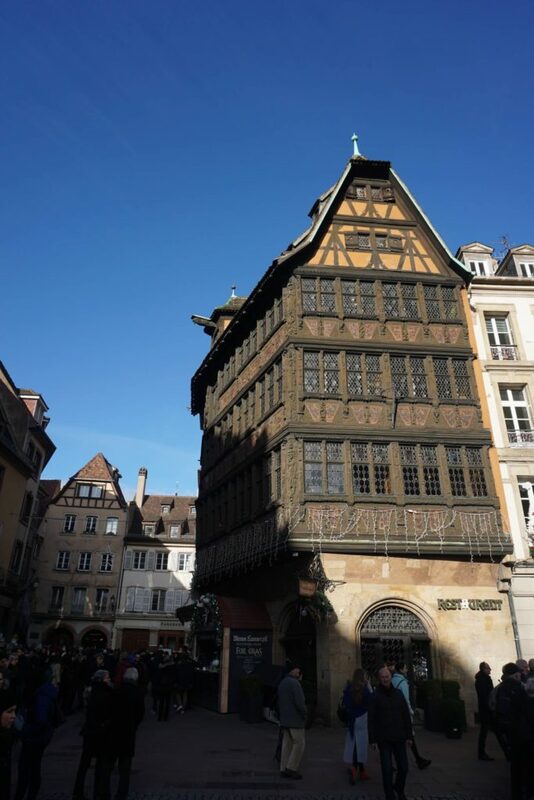 This half-timbered building is famous for its original condition from the 15th century. The impressively carved façade is a nice and convenient meeting point for tourists. The tourist information, which was our next destination, is situated to the right of Maison Kammerzell on La Place de la Cathédrale. 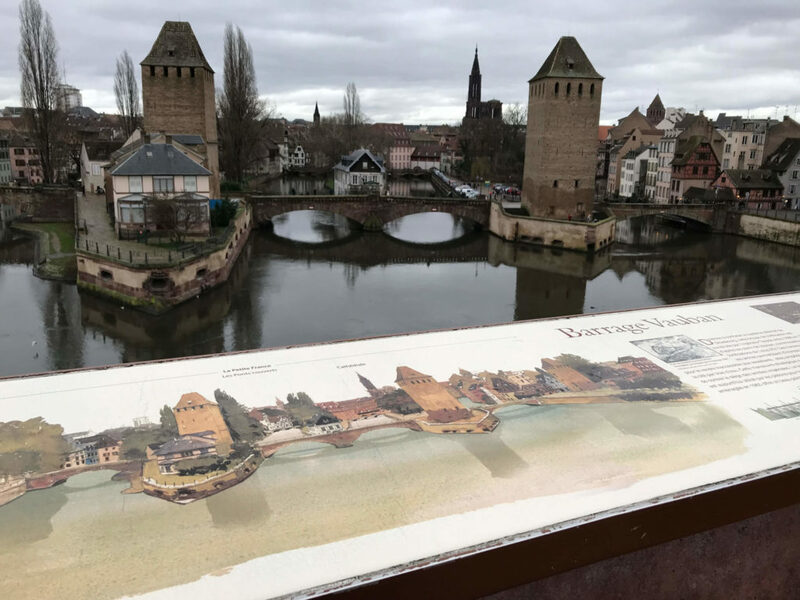 For 1,50 € we bought a city map and asked for information about Tasty Trips – a culinary walk through Strasbourg. Unfortunately, we had to find out that you cannot book the tour in December. Too bad because we really liked the idea of the tour. Instead of the tour we went to the next house where we looked into the possibility of booking a boat tour for the following day. Sadly, the tour was likely to fall through because of high water that weekend. 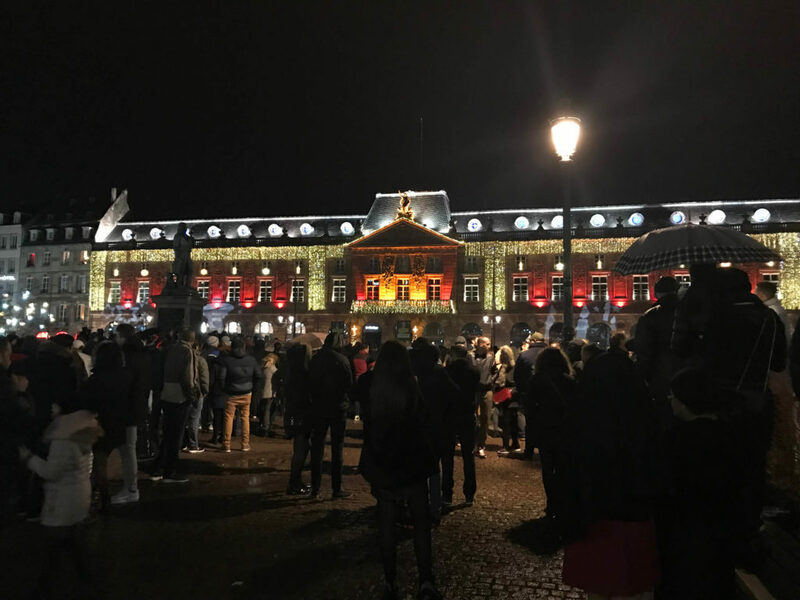 Our walk through the festively and almost tawdrily decorated streets of the historic downtown lead us to the Place Kléber. 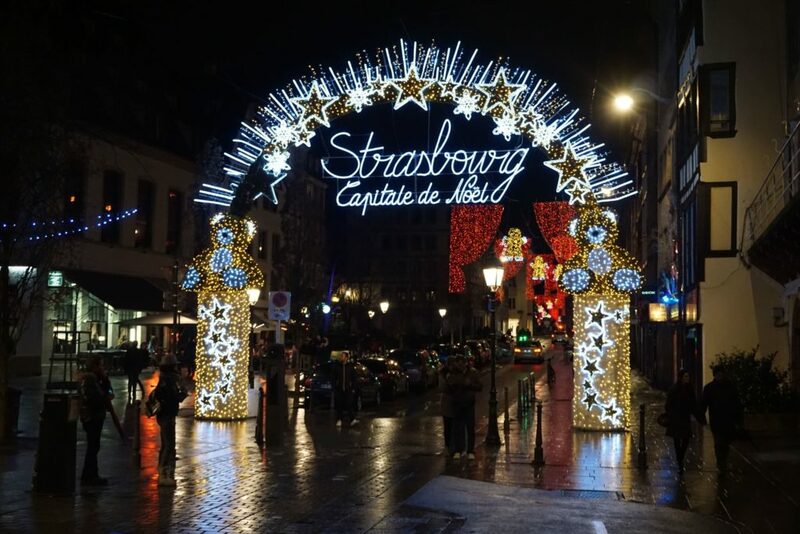 Named after General Kléber who originated from Strasbourg this place with a great big Christmas tree looked like a good location for a gathering of people, for example for New Year’s Eve. 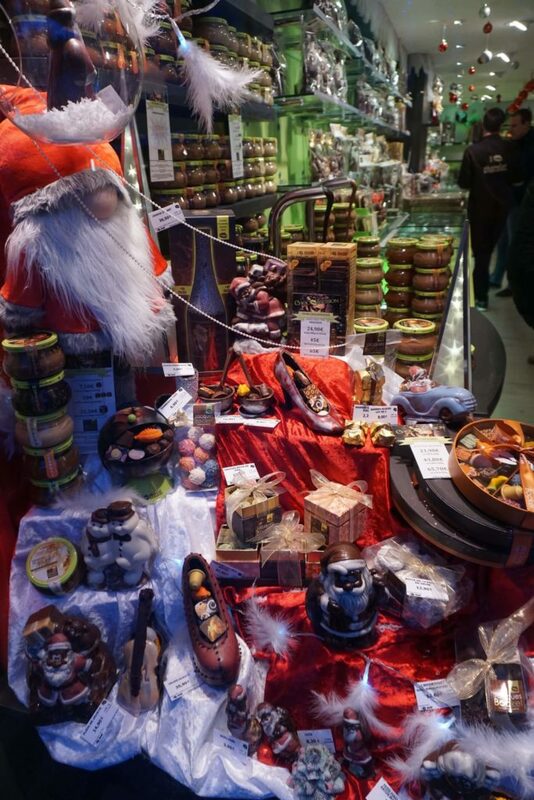 Around Place Kléber you will also find numerous stores and shopping possibilities. We kept that place in mind and went on towards St Thomas’ Church. Those who are interested in history of civilization and architecture will find enough fuel around there. It is possible to look at the impressive Silbermann organ, that has even been played by Mozart. We were content with taking a few pictures and continued our walk. 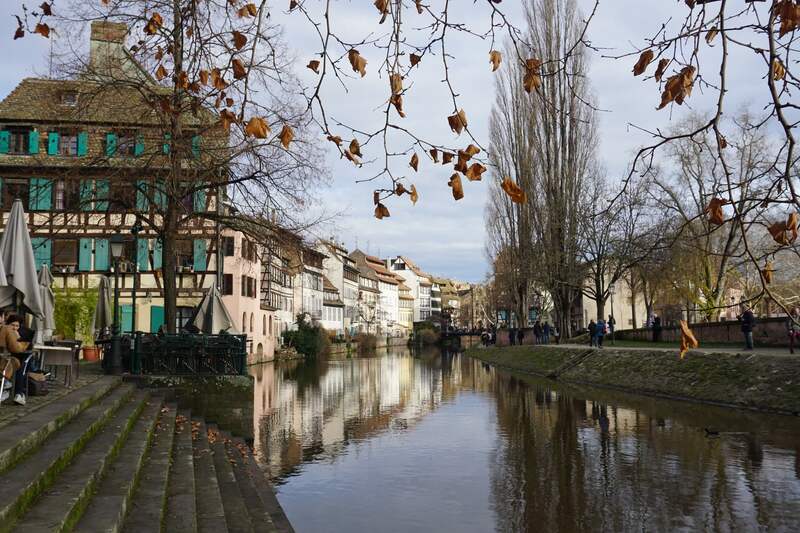 In the small and charming tanners quarter along the river Ill called La Petite France you will find many restaurants and cafés to rest for a moment. The river Ill with its canals makes a great scene for picturesque and dreamy snapshots. 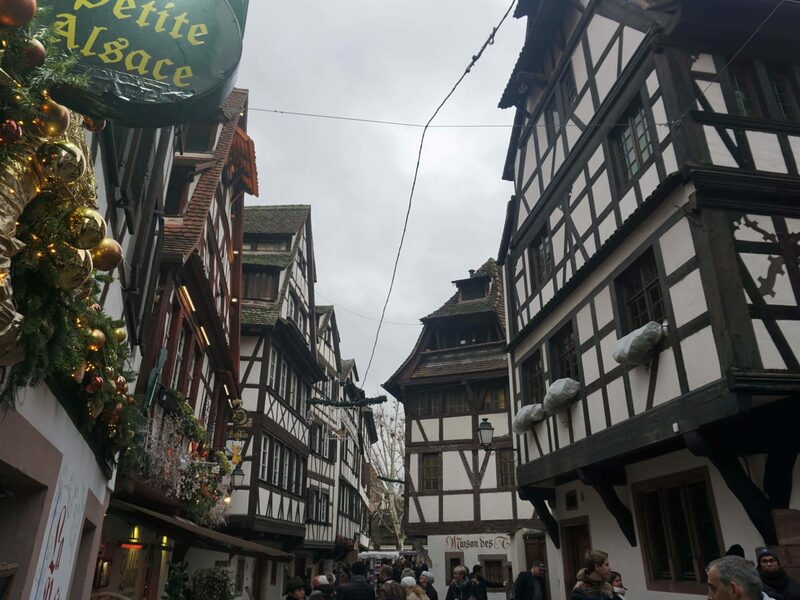 Beautiful half-timbered houses string along the streets, like on Rue du Bain-aux-Plantes. Not far from the canals you will find the Barrage Vauban that offers a great view over Petite France from its viewing platform. This bridge was used as a weir to defend the city against enemy troops in the 17th century. Note on the side: there are public toilets on the inside of the barrage (sometimes that is good to know too). To recover a little, we went to Le Raven Café. 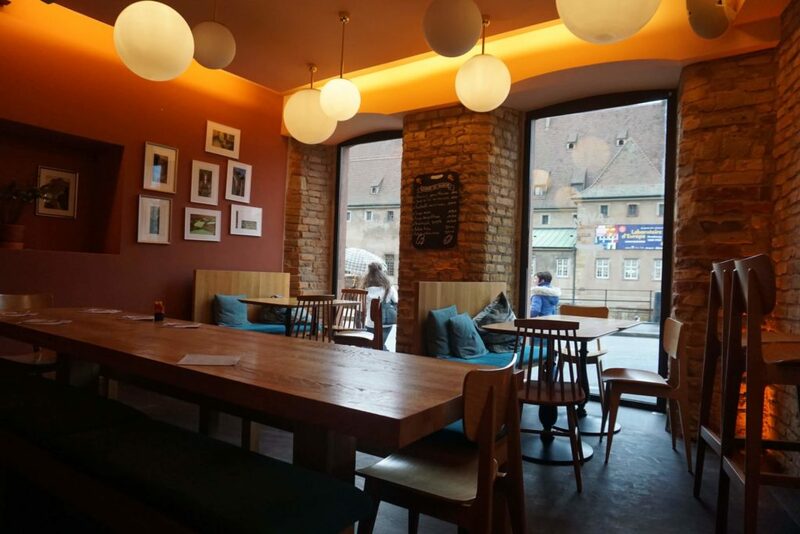 A trendy yet cozy place to eat tarte flambée and have a beer, or cappuccino for that matter. We flipped thorough the brochures we received at the tourist information and read about L’Aubette 1928 – heritage protected rooms after the design of the 1920s. The rooms were designed by the artists Theo Van Doesburg, Jean Arp and Sophie Taeuber-Arp. 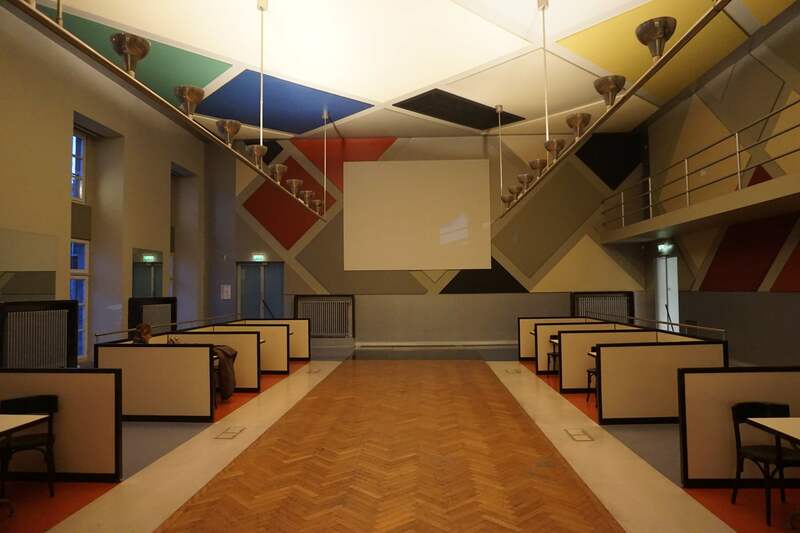 Since the entrance was free of charge and these rooms were located on Place Kléber we decided to check it out. Upon the entrance we got an audio guide and were able to look at the rooms with some associated explanations. The fascinating thing about L’aubette 1928 is the fact that the rooms are from the 1920s but the style looks more like they could be from the 1960s. After that it was time to go to the hotel. 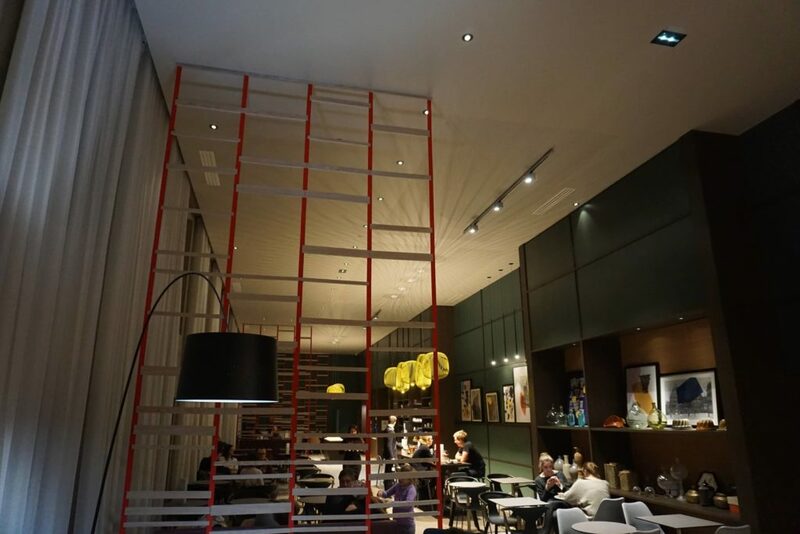 We fetched our bags from the car and walked to the Okko Hotels Strasbourg Centre. 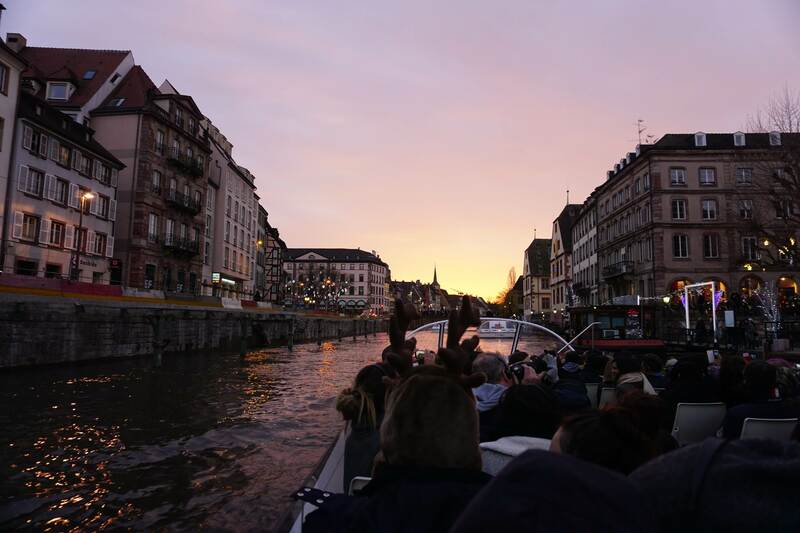 The hotel is located in a developing area in between the canals and is still in an acceptable walking distance from the city center. The hotel really surprised us and the interior design as well as the furnishing of the rooms are very nice and almost artistic. We would choose this hotel any time again. A big highlight was the recreation room that is like a combination of a dining – and living room. In the evening we received a glass of wine or beer on the house as a welcome drink and a snack. Originally, we planned on taking the wine and nibbles as a starter before going out for dinner to a restaurant in town. The snack was so opulent and delicious (and free of charge) though that we decided to spend the night in the stylish recreation room, called The Club. It did not really have a hotel-feeling, it felt more like sharing a flat but without cleaning plan. The next morning started out with a great breakfast and mild temperatures that were perfect for our walk to the Place de la République. Across from the Opéra national du Rhin you will find the Palais du Rhin (former imperial palace), the Théâtre national de Strasbourg, the Bibliothèque nationale et universitaire de Strasbourg and the Jardin de la Place de la République. A nice accumulation of history-charged buildings and institutions. Afterwards we strolled through the streets back to Petite France and enjoyed the sunny weather outside in the Café Au Fantassin. Our next plan was to visit the Strasbourg Minster from the inside. There are special visiting hours outside the service hours for visitors. Once we reached the cathedral a long line was already awaiting us at the entrance. Also, the inside of the gothic building was full of curious visitors. Sadly, the behavior of many visitors was not suitable and even disrespectful when they pushed and shoved, talked on the phone and even shouted. 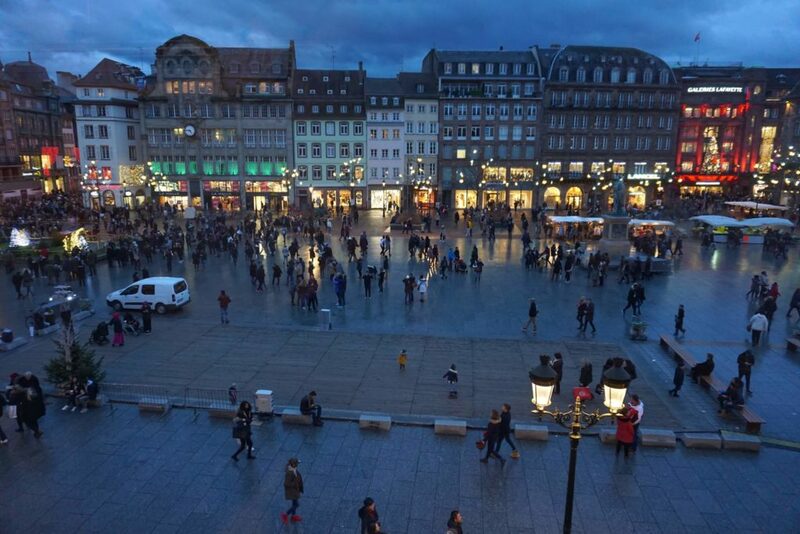 Especially crowded was the spot in front of the astronomical clock. 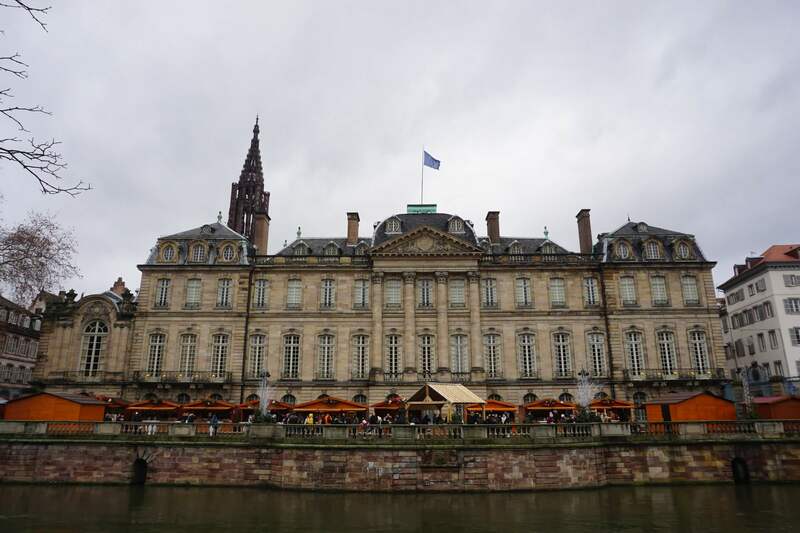 Nevertheless, the impressive Strasbourg Minster is the town’s landmark with great justice. After the visit of the inside we wanted to climb up to the viewing platform of the Minster. Unfortunately, the tower and the viewing platform were closed so we decided on booking a boat tour with Batorama (the office is right next to the tourist information) and walked to the riverside. Because of high demand we could only book the tour “Strasbourg, l’Européenne”. The tour took 45 minutes and went from La Petite France to the European Parliament for around 10,00 € per person. It was a worthwhile tour that included an audio guide and a great view from water. The 45 minutes were not too long and a nice change to all the walking. The day came to an end and so did the year. We walked back to the hotel and got ready for New Year’s Eve. Needless to say, on our way to the restaurant we stopped in at The Club for glass of wine and a little snack. We took the tram to the restaurant Le Schnockeloch. We reserved a table four weeks in advance and, as usual for New Year’s Eve, we were obligated to take the “Special New Year’s Eve dinner”. The last hours that year we spent eating multiple courses, drinking wine and had time to recall the past year and make plans for the upcoming new year. 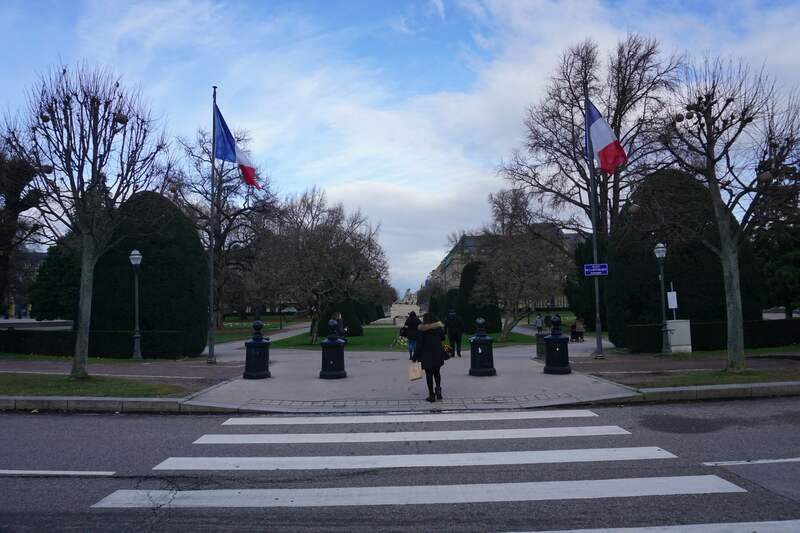 For New Year we went to Place Kléber. Sadly, there was no official fireworks. Only a few scattered rockets and firecrackers that flew through the streets. After midnight the crowd dissolved quickly and we had to conclude that the attempt of trying to do something different then everyone else eventually led to doing something different then everyone else but still do the same as everybody else did. 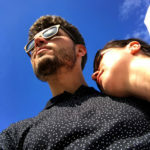 Merci pour votre lien dans votre article ! La prochaine fois que vous venez à Strasbourg, nous serons ravis de vous offrir 2 livrets pour faire la balade gourmande : envoyez nous un petit mail et nous ferons ce qu’il faut ! Merci beaucoup de nous avoir mentionner dans ce très bel article sur Strasbourg. Je le partage dès aujourd’hui sur la page Facebook de l’hôtel ! Très bonne journée et à bientôt chez OKKO HOTELS.